A new start-up package, worth thousands of pounds, is being offered by Teesside University to help graduate entrepreneurs grow their business. 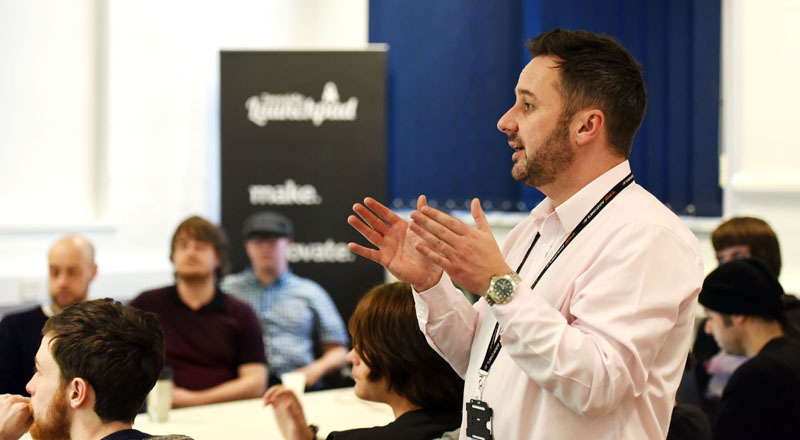 Steve Dougan, Head of Graduate Enterprise at Teesside University, at a mentoring session for entrepreneurs on the Launchpad FUEL development programme. 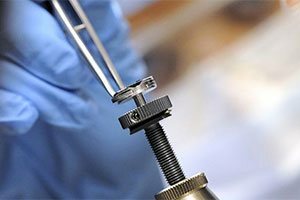 The Launchpad FUEL programme offers graduates of the University who are in the early stages of developing a business idea up to £10,000 worth of grant funding to develop their product or concept. 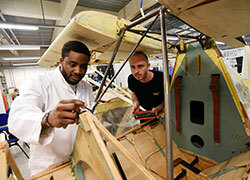 The scheme also gives entrepreneurs up to £6,000 to cover their living costs and up to £3,000 for a co-founder. Fourteen teams of entrepreneurs have undergone a five week development programme for their businesses and pitched their business models to a panel of judges in order to decide if they were eligible for the FUEL programme. In addition to the funding, they will receive dedicated office space for six months, including high quality meeting and office space, and a support package including specialist mentoring, business workshops, networking and access to finance and investment support. 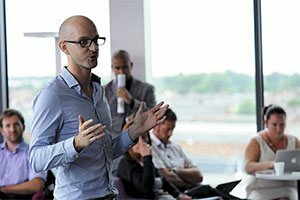 The scheme is open to entrepreneurs who have graduated from Teesside University in the last five years and who can demonstrate that they have the potential for a viable scalable business in any sector. This is a unique experience which we are able to offer to start-up companies. 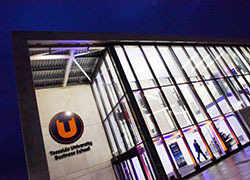 The successful businesses will be based at Teesside Launchpad, in Victoria Road, Middlesbrough, where students, graduates, alumni-entrepreneurs, SMEs and corporate partners all come together on campus in the University’s unique start-up ecosystem. 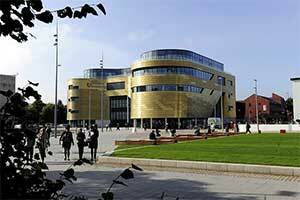 Further FUEL programmes will be run by Teesside Launchpad over the next three years. 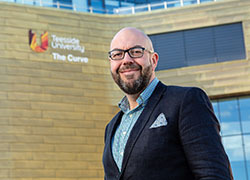 Steve Dougan, Head of Graduate Enterprise at Teesside University, said: 'This is a unique experience which we are able to offer to start-up companies. 'There are lots of loans out there for early stage businesses, but it’s very rare to find a scheme which offers grant funding. 'This can be absolutely essential to businesses, as it prevents them being burdened by debt in their infancy. 'When you factor in the dedicated incubator space we have here at the University and our network of support, I honestly believe that what we are offering cannot be found anywhere else. 'Even those business which didn’t go through to the FUEL programme will benefit immensely from the five week development which they underwent. 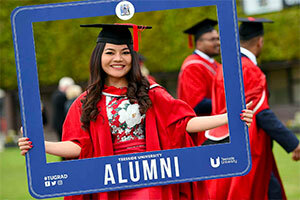 More information on graduate enterprise. 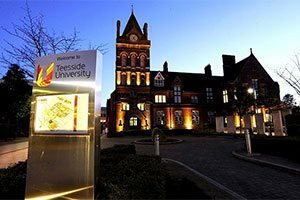 Teesside University has launched a start-up package worth thousands of pounds to help graduate entrepreneurs grow their business. Seven up and coming businesses started by Teesside University graduates have received grants worth thousands of pounds to help grow their ideas.